WILL THE REAL WAYNE KING PLEASE STAND UP? The show aired in the evening on prime time television and, two years into their run on Tuesday, January 14, 1958, Wayne King, “The Waltz King” appeared. 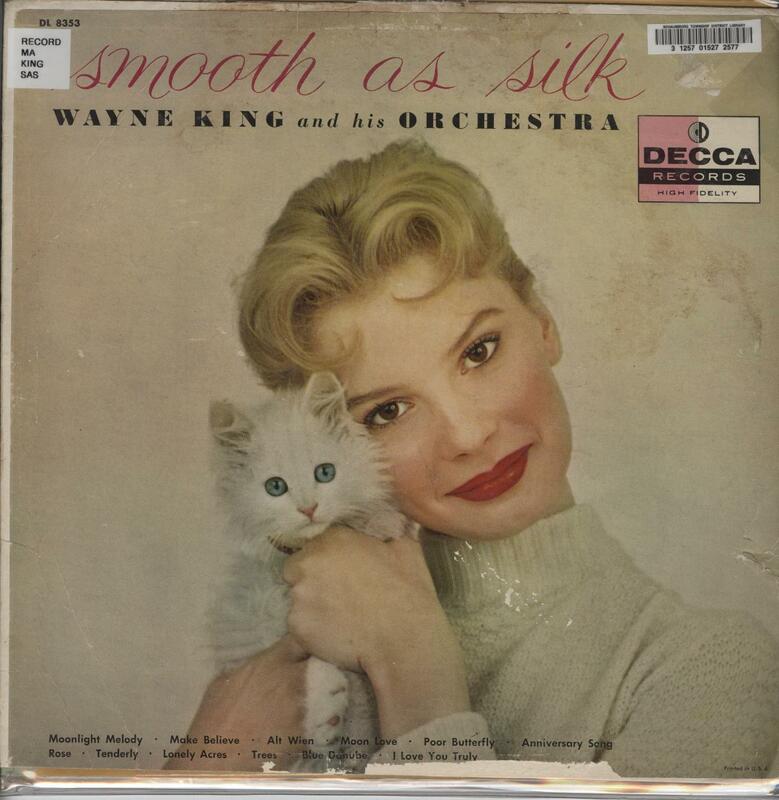 Wayne King was a nationally known orchestra leader who was renowned for his saxophone playing and the waltzes his orchestra performed. The orchestra had a Chicago-based radio show and television show at various times after World War II but was most renowned for their performances at the famous Aragon Ballroom in Chicago. In fact, his orchestra performed “The Last Waltz You Save For Me” on the final day of the Aragon’s long run. In addition, he put out a number of LPs highlighting his waltzing, orchestral sound. But, in Schaumburg Township, Mr. King was known personally. He purchased a weekend, get-away farm along Roselle Road in August, 1951 where the Mennonite Church is today. In fact, their barn-like church was the barn that housed his animal stock back in the day. Mr. King sold the farm in 1957 and the following year appeared on “To Tell The Truth” to try and fool the panel made up of Polly Bergen, John Cameron Swayze, Kitty Carlisle and Hy Gardner. You can watch it here on YouTube at 15:56. See if you can tell who the real Wayne King is before the panel casts their vote! Kurt Cobain didn’t know it but there was Nirvana in Schaumburg Township long before his band came on the scene. 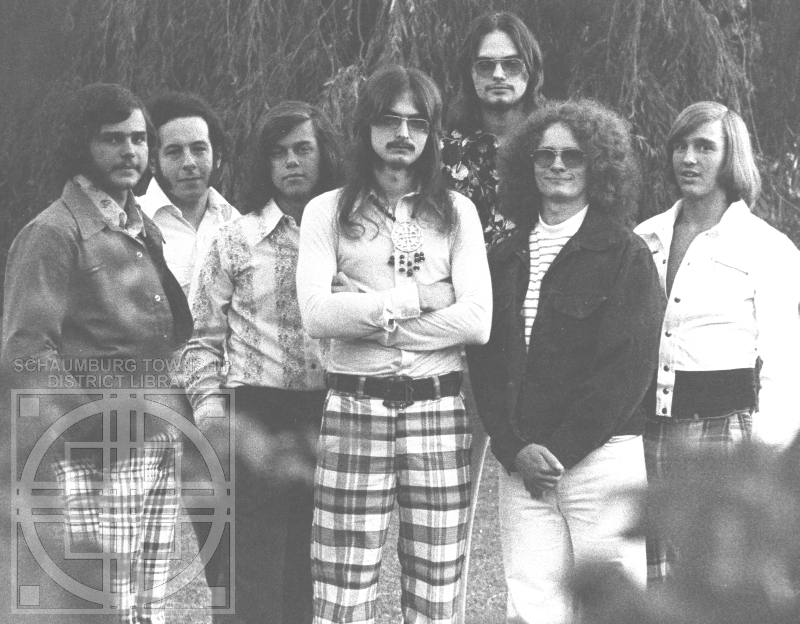 In August 1972, seven local guys began meeting in the houses and garages of their parents, jamming and kicking around various songs as well as a possible name for their new band. With the early working name of Nirvana, they played for as long as each set of parents could take it before they moved on to the next house. Jim and Steve, the two brothers, founded the group with Greg Pasek and Hermann Schneider. Not long afterwards Irwin, Roy and Greg Walsh joined, bringing their prior experience and talent. In the nature of a lot of bands, some members came with formal experience and some were self-taught. 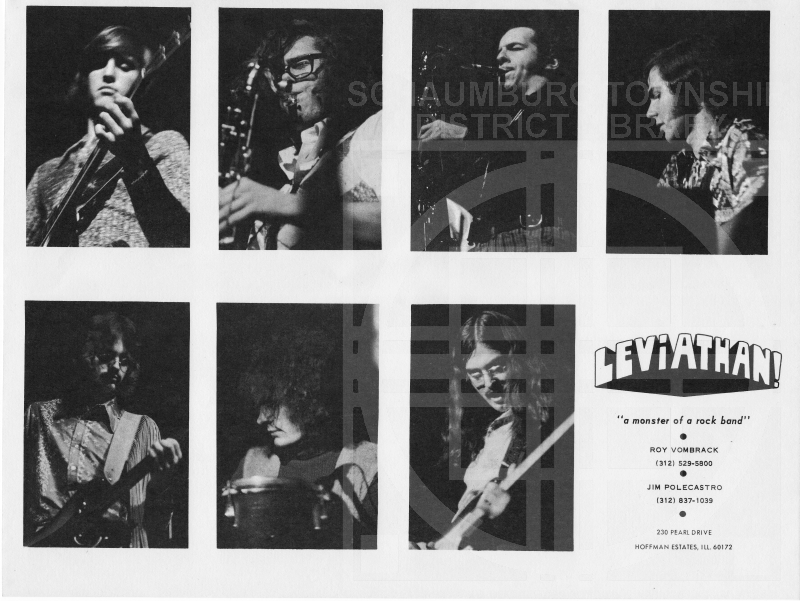 Hermann, Irwin, Roy and Greg Walsh played in their high school bands while Steve, Jim and Greg Pasek had taken up the guitar after seeing The Beatles on The Ed Sullivan Show. Their sound, according to a local article, focused on “powerful saxophone arrangements and gut vocal. The gentler side of the band create[d] flute duets and acoustic guitar work.” Roy said, “We played mainly fairly progressive music… a huge range, from popular music by Loggins & Messina, Jethro Tull, and Stevie Wonder to lesser known performers like Johnny Winter, White Trash, Jack Bruce, and Gypsy. We mixed in a few originals by several of the guys, too.” Steve also noted that Roy did some rearrangements. 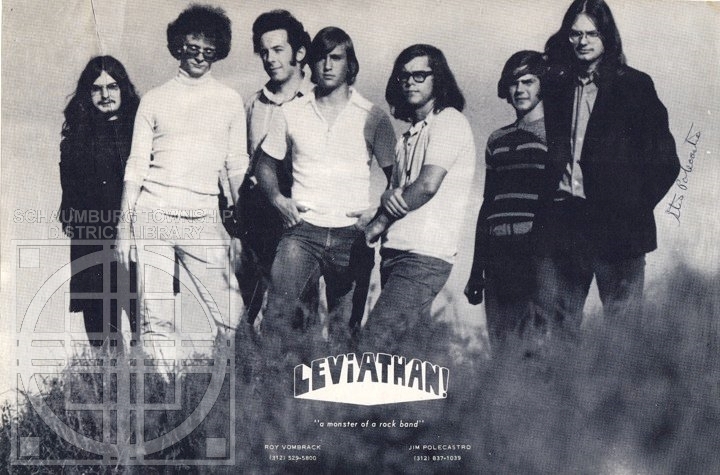 Leviathan followed this up with a mention in NIU’s Northern Star on April 27, 1973 detailing the fact that they would appear as part of the Student Association Concert Committee’s May Fete in front of Douglas Hall on April 29, 197 at 7 p.m. 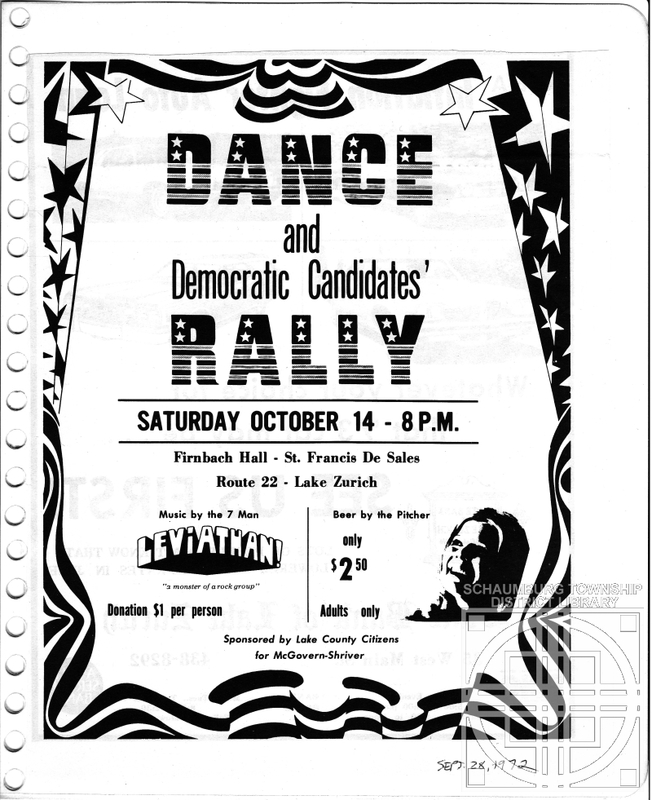 They also had the opportunity to back up Styx at Jane Addams Junior High on August 1, 1973 and later at Papa Joes in Park Ridge. Another date at Papa Joes found them backing up “Rufus,” a Chicago area funk band. The band continued to perform for a few years, playing their own style and getting gigs. They remain friends and sent me the articles that I used to write this posting. BEING A KID IN HOFFMAN ESTATES! 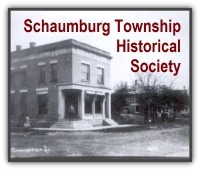 Our guest contributor this week is Pat Barch, the Hoffman Estates Historian. This column originally appeared in the March 2016 issue of the Hoffman Estates Citizen, the village’s newsletter. The column appears here, courtesy of the Village of Hoffman Estates. There were so many fun things to do for children growing up in Hoffman Estates in the early years of the village. With so much construction going on in the neighborhoods, starting in 1955 and continuing into the 70’s, there were always those wonderful piles of dirt the seemed to draw the kids like magnets. But our early town had so many fun places to go to. During the cold days of winter everyone could go ice skating on their local pond. Some had warming houses to help take the frost from their frozen feet. If you had enough guys, you could get a hockey game going. With enough snow on the ground, you could head over to Fleetwing Farm on Central Rd. and go tubing with your friends. 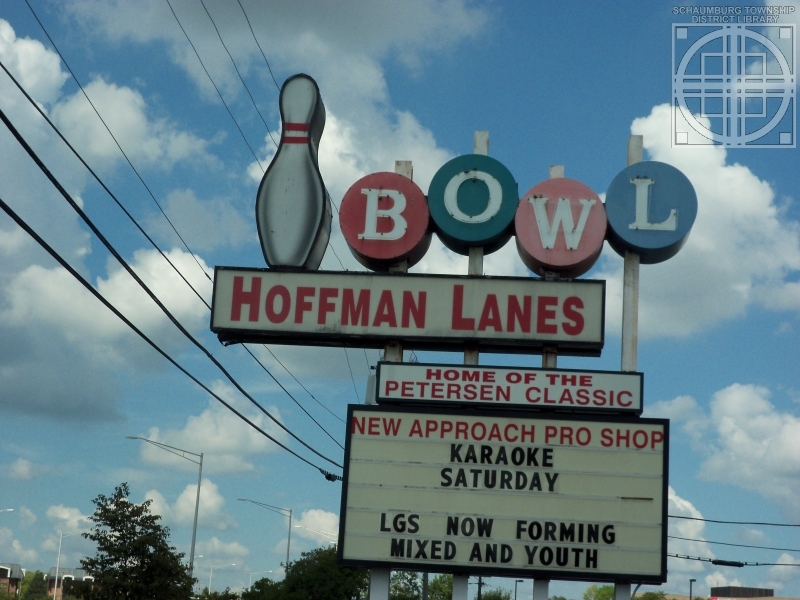 Hoffman Lanes bowling alley was a busy place for both adults and children. The adult bowling leagues were filled with moms & dads who enjoyed the competition & the opportunity to meet others. Saturday afternoons found the kids really getting into their own bowling competitions. When the Thunderbird Movie Theater opened in the Golf Rose Shopping Center in the early 60’s, the kids headed to the Sunday matinees and gave their parents a few hours of peace and quiet. Snyder Drugs was right next door to the theater and a great place to buy your candy. A favorite eating place that the kids really enjoyed was Ground Round on Golf Rd. Where else could you eat all those peanuts and not get scolded for throwing the shells on the floor? The burgers were awesome as I remember. Lum’s Hot Dogs on Golf Rd. was another great place. Everyone liked the idea that the dogs were steamed in beer. They tasted great. In the 70s the hang out that Hoffman High kids liked was Barrington Square. You could see a dollar movie at the Barrington Square Movie Theater, stop in for a slice of pizza at Garabaldi’s Restaurant and check out the latest albums at Flip Side. Lines would form outside Flip Side for tickets to the hottest concerts. 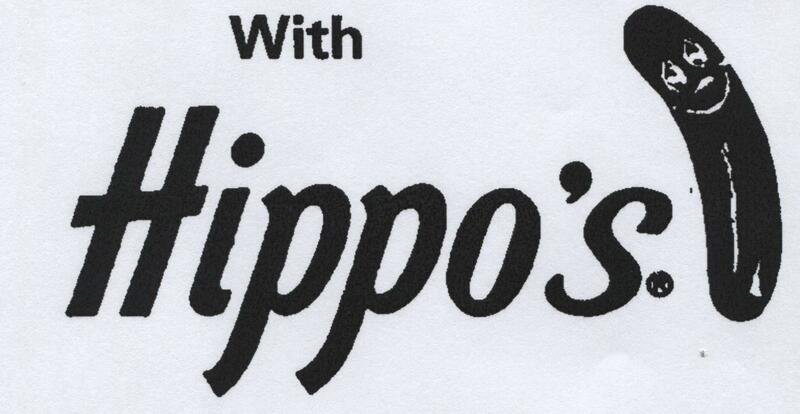 A great hang out for the Conant kids was Hippo’s Hot Dogs on Higgins and Plum Grove Roads. They had the best Chicago style hot dog around. 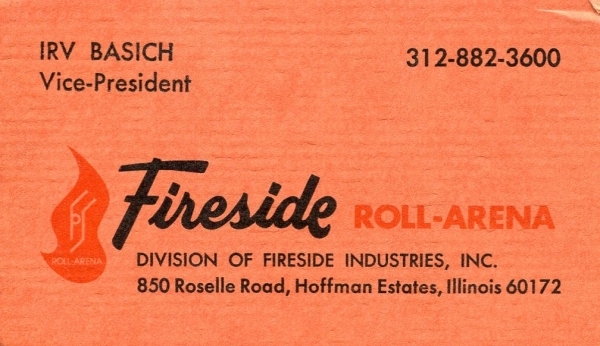 Fireside Roller Rink on Roselle & Higgins, the world’s largest indoor rink, was one of the most popular places in town. The local schools always had skating parties throughout the year. You never missed one. They were a blast. As the kids grew older, they were treated to more great entertainment at the Poplar Creek Music Theater. In the 80s the 20,000 seat open air theater offered great performances by the most popular entertainers of the day. Located at Route 59 and the Tollway, the theater is fondly remembered by everyone who enjoyed the music under the stars. It is all gone except Garabaldi’s Restaraunt. It’s fun to remember those days. What do you remember? As I’ve noted before, it’s always interesting to see what people are looking for when they stumble across this blog. And they really seem to be interested in the many concerts that were held at the Poplar Creek Music Theater. Some people are nostalgic, some people are curious and, after quizzing one of my colleagues, it appears that some fans often try to account for the shows of their favorite performers. So, as a salute to these groups, I’m providing the concert list from Poplar Creek’s opening year—1980. This list was derived from both the Daily Herald and Chicago Tribune and is as complete as I can make it. If you’re aware of any changes, please let me know! Prices for a series of tickets ranged from $44 for lawn seats to $67.50 for pavilion seating. Tickets for individual concerts varied from $6 to $12.50. What a steal! It’s an interesting list and who wouldn’t want to go back in time and hear these performers in their prime? WHO WAS THE FIRST PERFORMER AT POPLAR CREEK? For 14 years at the intersection of Higgins Road and Route 59, Hoffman Estates was home to a wonderful outdoor concert venue called Poplar Creek. The covered pavilion had reserved seating for 7000 and the grassy slope could accomodate 13,000 more. Various acts such as Stevie Nicks, Carly Simon, Barry Manilow, The Beach Boys and REO Speedwagon performed through the years. I, personally, saw Anne Murray and Julie Andrews. Who did you see before the theater closed in 1994? And who was the first act? Any guesses? 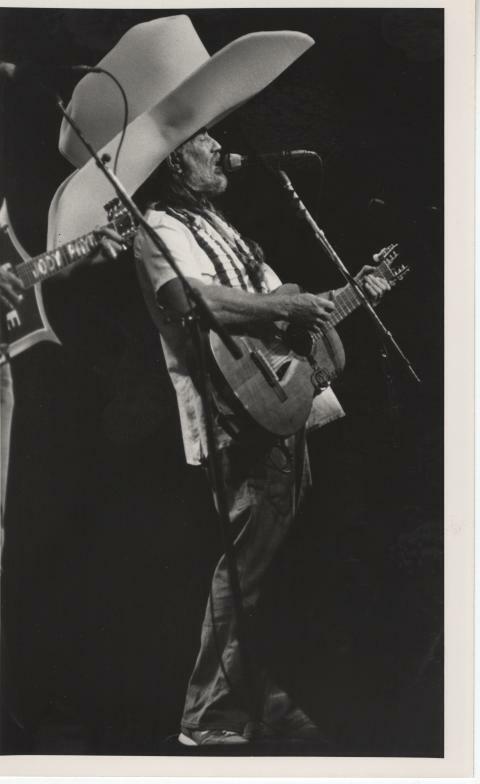 And, no, it’s not Willie Nelson!